Are you waiting for a prospective homebuyer to express genuine interest in buying your house? Are you dealing with a realtor who is simply unable to generate any traction for your listing? Are you worried that you may have to wait for several weeks and perhaps months before you are anywhere close to actually selling your house? Gone are those days when homeowners would have to endure the customary roadblocks. You can now sell your house directly to Dependable Homebuyers. You do not have to hire a realtor. You do not need to be at the discretion of the average homebuyer. 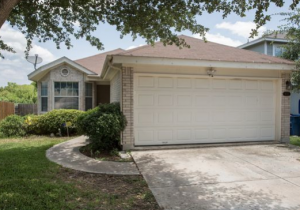 You can directly contact us since we buy houses in San Antonio, Texas! For decades, property owners have been at the mercy of realtors. Many property owners across the country have had to deal with painstaking delays and seemingly unavoidable expenses. Realtors can be the best friend of homeowners but they rarely turn out to be one. Every realtor needs to do what is best for their business at the end of the day. Therefore, if your property is not the most opportune for a realtor, their priorities will lie elsewhere. A realtor is also committed to serve the interests of the homebuyers, who are also their clients. A realtor can at best be an efficient facilitator or middleman. A realtor will rarely be able to do good for both the homeowner and the homebuyer. It is almost contradictory to even expect realtors to deliver on all counts. You do not have to deal with a realtor if you sell your house to Dependable Homebuyers. We are not realtors and we are not ordinary homebuyers. We do not look for a third party, be it a homebuyer or investor, when we buy houses in San Antonio, Texas. We are a nationwide company that buys residential properties. We buy houses directly from owners in all kinds of situations, including homeowners looking to stop foreclosure by selling the home. We buy all types of houses and in the exact conditions they are in. We do not have a stringent list of preferences like an average home buyer. We are not on a quest to find a dream home at the most sought after location. 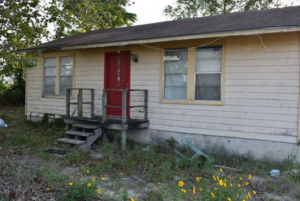 If you want to sell any type of house anywhere in San Antonio, Texas, then we are interested. You can sell your house directly to Dependable Homebuyers. This is indeed the new way to sell a property. Give us a call at (210) 944-4115 today! Say no to the fees that come with using a realtor and get your FREE offer today! Express your intent to sell a house, get a purchase offer within twenty four hours and sell the property in a span of seven business days. That is what we do when we buy houses in San Antonio, Texas. We at Dependable Homebuyers are not a property listing website. We do not operate classifieds, we are not realtors, we do not represent banks or third party investors. We are a company that deals in residential real estate. 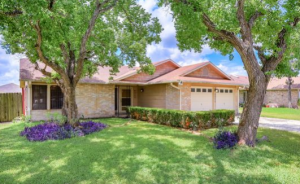 We buy houses in San Antonio, Texas, directly from homeowners without the involvement of a middleman. We will even let you sell a home with renters, no evictions or waiting for them to leave before your home is sold. We use our own capital to finance our purchase. We do not ask investors to fund our acquisitions. We do not depend on home loans or business loans. We do not use mortgage and hence we are not reliant on any bank or financial institution to decide whether or not we can purchase a property. We are an independent company with capital reserves that do not confine us to only one purchase at a time. This enables us to move swiftly and empowers us to buy multiple houses in the city simultaneously. Both these are at the heart of why and how we can make an offer within twenty four hours. We are ready to purchase your property and can do so in an unprecedented span of time should you be willing to accept our proposition. 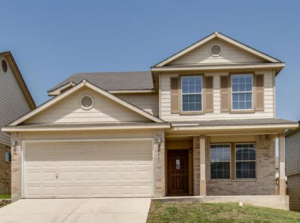 We present purchase offers when we buy houses in San Antonio, Texas. We do not send you an appraisal report or any such futile assessment that may or may not have any bearing on the actual sale. While you would have a purchase offer from Dependable Homebuyers within twenty four hours, we can actually close the deal and complete the sale in seven business days. All you have to do is decide and let us know if you accept our purchase offer. We will put together the paperwork and complete the transaction within seven business days. We may take fewer days but we will not take longer. There are two assurances we offer upfront. One, you will get a purchase offer from us and within twenty four hours. Two, we will honor the purchase offer and will buy your house within seven business days from the date you accept our proposition. We’re available to talk about your property at any time! Give us a call at (210) 944-4115 today. There is no other way you can get an offer in a day and sell your home within a week. You can try hiring the best realtor in the city, you may have dozens of interested homebuyers to consider and you might be willing to reduce your ask price to facilitate a quick sale. Regardless of anything and everything you can do, you will have to wait at least a few weeks to actually sell a house. Most property owners in the city are compelled to wait for a few months before they get to sell their houses. None of these problems are relevant for homeowners when we buy houses in San Antonio, Texas. There are free listings you can take advantage of but no realtor will work without the deserving commission. Most realtors will present a list of expenses, either included in the commission or separately. Realtors usually take care of more than just dealing with homebuyers. They often take up the responsibility of marketing and advertising a property, they manage the listings and property inspections, appraisals and negotiations with homebuyers, facilitate the legal and financial formalities among other tasks. All these services have to be paid for by you as the property owner. You will end up spending thousands of dollars that you can completely save. All homeowners can sell their properties without paying anything when we buy houses in San Antonio, Texas. The commissions and other seemingly imperative expenses are only one form of financial commitment. There is another kind of expense, which can be almost considered as an investment. This pertains to the renovation or remodeling, repairs and replacements, possible upgrades or new installations. Many realtors recommend such investments to make a property look and be more desirable for homebuyers. While realtors cite a greater return or selling price and a quicker sale as the benefits, they are actually making their jobs simpler and they would be generating more revenue courtesy a higher commission for a property with an increased ask price. Homebuyers may also demand such changes in a property to make the house suitable as per their preferences or criteria. Both realtors and homebuyers pay nothing. It is the homeowner who has to bear the investment without the certainty of generating a greater return. 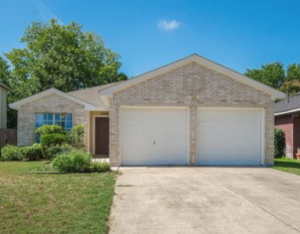 Such investments are unnecessary when we buy houses in San Antonio, Texas. We buy all types of houses in the city. We do not prefer one property over another. We are not average homebuyers who are on the quest to find their dream homes. We are not looking for the best property in the most desirable location. We cover all neighborhoods. We buy houses regardless of their design, size and main features. We are interested in properties that may have some serious problems and minor issues. Anything that may be wrong with a property, visibly or otherwise, will have an influence on the fair value but it would never deter us from making an offer. 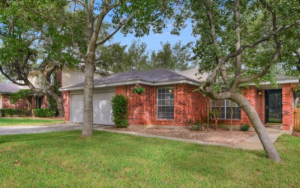 We do not have any criteria influencing our decisions when we buy houses in San Antonio. We are unlike homebuyers who would not be interested in your property unless it is perfect. We do not operate like realtors whom you would anyway pay a lot of money regardless of the outcome and then a much greater sum as commission if the property gets sold. Dependable Homebuyers will not charge any fee at any stage of the entire process. You do not pay for the site visit or the inspection. You do not pay any legal fees. There are no charges for any appraisal and you do not have to make any investment to make your property more desirable. We will buy your house in the exact condition it is right now and we would make you an offer within twenty four hours! You are not obligated to accept it within a stipulated span of time but if you do, then we will complete the sale within seven business days. There has never been any proposition like the one we would offer when we buy houses in San Antonio, Texas. You may be familiar with realtors, homebuyers, investors, property developers or corporations that may be interested in lots and properties somewhere or the other in the city and across the state. No other company or individual will have a purchase offer for you in twenty four hours. No other company or individual will give an assurance that you will have an offer at all. We guarantee that you will get a purchase offer, not an appraisal or letter of intent. It would be an actual offer to buy your property. We also guarantee that you will be able to sell your house within seven business days from when you accept our offer. This is an all CASH deal. No banks, investors or financial products are involved in the transaction. You will have the fair value of your property credited into your account in seven business days. Dependable Homebuyers simplifies the whole process of selling a property. It is not just the upfront offer and the steadfastness with which we operate that segregates us from everyone else but also the commitment to buy all types of houses. No other company or individual will be interested in every type of residential property. All companies and individuals have preferences. These get reflected in how realtors assess a property. You will have to deal with the estimations and appraisals, property inspections and tentative ask prices, multiple listings and advertisements, several tours of the property and seemingly endless negotiations. You can say no to all these chores. You do not have to invest any time or effort in any endeavor. You do not have to invest any money to sell your house. There is no reason why you should spend any money on a property that you do not intend to use any longer. It is unwise to invest in improvements that you would not get to relish. Not all investments get reasonably rewarded through value appreciation of a property. A high return on new investments are uncommon. Write to us or give us a call today and we shall schedule an appointment. Our representative will visit your home and provide you with all the information you need to make a decision. We buy inherited houses, vacant homes, and those occupied by the owners. We have a research team that will work on all the facts pertaining to your property so we can come up with a fair assessment of its value. After our executive files their report and our research team compiles theirs, we come up with a purchase offer. We shall present this purchase offer in twenty four hours. You can accept it, decline it or think about it. You are not obliged to respond to us immediately or even in a week. Whenever you do get back to us and accept our offer, we will complete all the formalities and credit the cash into your bank account within seven business days. 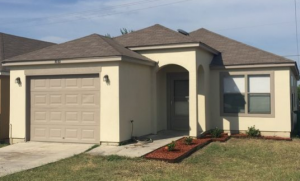 We present an immediate solution and it is our standard practice when we buy houses in San Antonio, Texas. You will not find a substitute for Dependable Homebuyers.